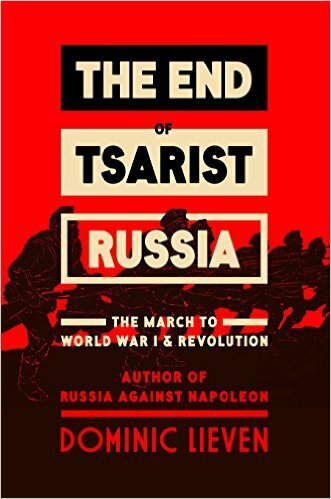 The End of Tsarist Russia: The March to World War I and Revolution by Dominic Lieven – Books, Books and More Books! Dominic Lieven is a senior research fellow at Trinity College, Cambridge, and a fellow of the British Academy. He previously taught Russian Studies at the London School of Economics for thirty-three years. His last book, Russia Against Napoleon, won the 2009 Wolfson Prize for History and the Prix Napoleon. The very first words caught my attention: “As much as anything, WW1 turned on the fate of Ukraine” … author, 2013, before the current crisis. The author has researched extensively the topic of Russia and the role it played in WWI, and to a large extent is still playing today. This isn’t a casual week end read. But a well researched and thought out of the Russians and all of their manipulations in the area and how they still are pertinent today. There is no better time than now to read this book. I was intrigued at the Library by the title and after reading the first paragraph, I was hooked. Ukraine? Why is everything still hinging on Ukraine. Than you to author Dominic Lieven for such a well researched and written work of art.